The new two-minute clip of 'Star Wars: The Force Awakens' added $2 billion to the value of Disney. The trailer of the much-discussed movie premiered at an event in California yesterday (16.04.15), causing a dramatic increase in Disney's share value. Disney acquired the rights to the 'Star Wars' franchise from George Lucas' Lucasfilm company in 2012, and speaking at the time, Robert Iger, Disney's chairman and chief executive, said the company "reflects the extraordinary passion, vision, and storytelling of its founder". He added: "This transaction combines a world-class portfolio of content including Star Wars, one of the greatest family entertainment franchises of all time, with Disney's unique and unparalleled creativity." Meanwhile, Carrie Fisher has revealed Princess Leia will not wear her legendary bun hairstyle in 'Star Wars: The Force Awakens'. 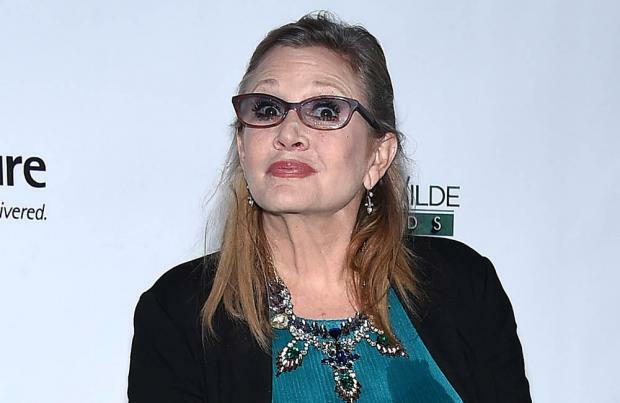 Carrie, 58, reprises the role of the princess in the new film, but has warned fans to expect her appearance to have evolved. She joked: "The buns are tired now - so no you're not going to have the futuristic buns. "We have an alternate thing that I think you'll be into - that is not the metal bikini, I promise." 'Star Wars: The Force Awakens' opens in December 2015.